About Alma and Theresa and how VTS began. We are committed to your success! Alma studied at the New York College of Music majoring in Classical Music and Performance in Opera and also studied under the direction of Enrico Rosati who was a Voice Coach of the renowned tenors Mario Lanza and Beniamino Gigli. Alma received a scholarship from the Music Department at the New York City College of Music performing the lead role of ‘Fiordiligi’ in Mozart’s Cosi fan tutte. Over the years, her musicianship encompassed a broad scope of German Lieder, French Chant, Italian Anthology, and Art Songs. 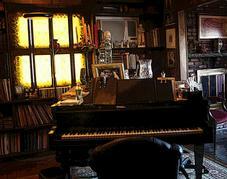 Over her performing career she performed many Chamber Music Concerts and Recitals throughout New Jersey and New York. Her accompanist was Armen Boyajian who accompanied Beverly Sills, Paul Pliska and Samuel Ramey and has been the Rehearsal Pianist at the Metropolitan Opera House for many years. Alma also studied under the direction of Gergard Pechner of the Metropolitan Opera House, Leo Taubman, world famous Vocal Coach and Sigfried Landau, Composer and Conductor. After many years of performing Alma became a vocal coach. After many years of teaching Alma became interested in researching ways to improve the quality of the singing voice and studied with Dr. Raymond Smolover of New York City who is a well know Voice Teacher and Cantor. Dr. Smolover worked on identifying methods to improve the voice and Alma became actively involved in Dr. Smolover’s research projects that are the foundation of developing the Vocal Behavior Training VBT a promising intervention for performers whose voices had been negatively impacted by overuse and/or misuse of their voice in performance. Over the years of observing and successfully tracking vocal improvement for the singing voice, Alma also worked with individuals who had voice disorders and developed specific exercises and defined the Vocal Therapy Solutions VTS methodology based on the quantitative VBT research findings. Alma and Dr. Smolover still collaborate and share the same passion in voice improving methods. Theresa Vasile began studying voice with Alma in the early 1980’s and played a significant role in the VBT research findings. She was a performing singer in choirs and community theatre, held a Master of Teaching for special needs children. After the VBT Symposium, Theresa holds a B.A. from Douglass College, Rutgers University with a Major in English and Minor in Music, a Master of Science in Language Disorders – Speech Pathology, MAT, Master in Teaching Special Education K-12 from William Paterson University, and a Certificate of Clinical Competence ASHA and a Music Certificate in Music Therapy. Theresa has twenty-years in Community Theatre in performances such as: Coffee Cantata, South Pacific, Down In The Valley, Oliver, HMS, Three Penny Opera, Amahl and the Night Visitors, Brigadoon, Sound of Music , Hello Dolly, The Christmas Caper and was also a member of two semi-professional choirs – Voorhees Chapel Acapello Choir and Ridgewood Concert Choir performing a number of classical spiritual works. In addition, Theresa has been working in education as an educator and a speech and language therapist for more than 25 years and periodically worked with individuals with voice disorders, as well as collaborating with Alma in the quest to identify ways to improve the voice. Both Theresa and Alma’s passion is to continue to explore and teach vocal exercises to improve and strengthen function and return the vocal folds to a healthy state. In the last few years, Vocal Therapy Solutions has emerged as a viable non-invasive intervention method suitable for both the singer and non-singer with voice problems. The rich findings of the VBT and VTS methods demonstrate that whatever the state of the natural or “untouched voice”, these methods not only improved quality, range, volume and pitch of the research participants, it also produced and maintained optimum vocal health. Due to this success and increasing demand for superior voice therapy Alma and Theresa are successfully healing and restoring voices. 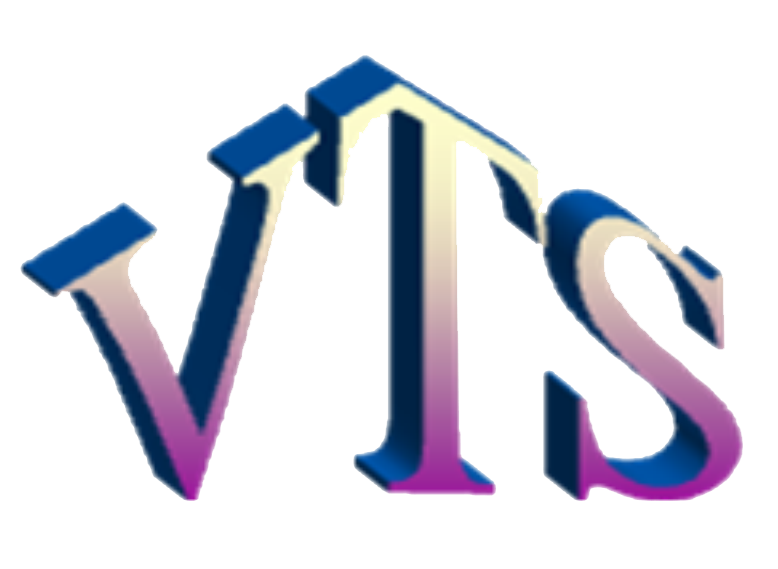 VTS has two studio locations in Northern New Jersey where clients can come for therapy. In order to service people who are unable to travel to New Jersey or our studios, arrangements can be made to use teleconferencing or video communication services over the Internet such as SKYPE. New technology allows VTS to extend its service anywhere in the world. The Vocal Therapy Solutions VTS method was formulated from the Vocal Behavior Training VBT method using the fundamental quantitative research findings that has emerged from over fifty years of research. Because of Alma’s dedication and skills, Dr. Smolover shared his method with Alma and certified her to use the method in her studio. Early in the 1980’s, Dr. Smolover conducted research with ten subjects and was awarded a doctorate in 1983 in Music Research. All of them showed improvement using VBT. Among the participants were “normals”, nodule patients and cases of spastic dysphonia. In 1982, Dr. Smolover asked Alma to help him with his research and recruited a team to chart voice ranges in different stages of early life (infant and adolescent). One of the members of Alma’s team of four was Theresa Vasile who soon became certified to teach the VBT method. In 1985, Dr. Smolover, Alma and her team presented the method and research findings at a Symposium at NYU. Attending were colleagues from leading schools of music in the Tri-State Area New York City music colleges. These rich findings established three modalities in pre-verbal sound and established the Vocal Behavior Training VBT principles. We can cure, improve and strengthen your voice and have many successful outcomes!